Veteran winger Rick Nash has not committed to playing next season and has told interested teams he won't be signing July 1. Agent Joe Resnick told The Associated Press on Thursday that Nash was undecided about his playing future. TSN in Canada first reported Nash's uncertain status. Nash missed three weeks late in the season with a concussion. The 34-year-old has also dealt with groin, knee and back injuries during his stellar NHL career. 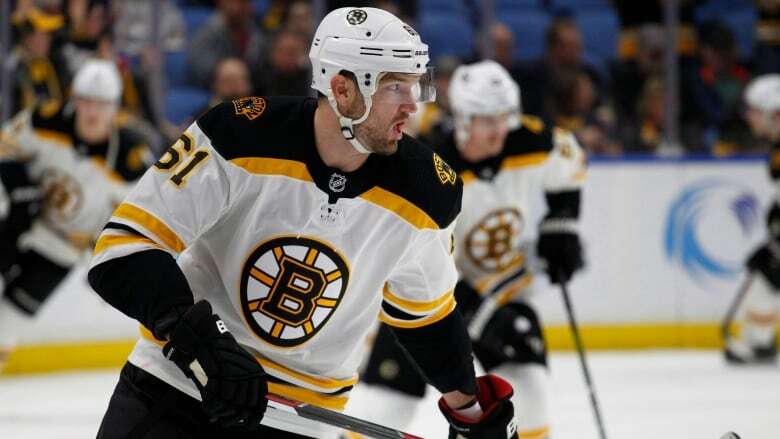 The 6-foot-4, 211-pound power forward finished the season with the Boston Bruins after they acquired him in February from the New York Rangers. He had six points in 11 regular-season games and five points in 12 playoff games for Boston. At the NHL draft last weekend, Bruins general manager Don Sweeney said Nash indicated he'd be interested in returning and welcomed that discussion. Nash just completed the final season of a $62.4 million US, eight-year contract that counted $7.8 million against the salary cap. Nash would almost certainly take a pay cut on any contract he signs for next season. He was drawing significant interest from around the league during the free agent interview period. In 1,060 regular-season games with the Columbus Blue Jackets, Rangers and Bruins, Nash has 437 goals and 368 assists for 805 points. He led the league with 41 goals in 2003-04, scored a career-high 42 in 2014-15 and eight times put up 30 or more. A native of Brampton, Ontario, Nash was the first overall pick of Columbus in 2002 and won Olympic gold medals with Canada in 2010 and 2014.